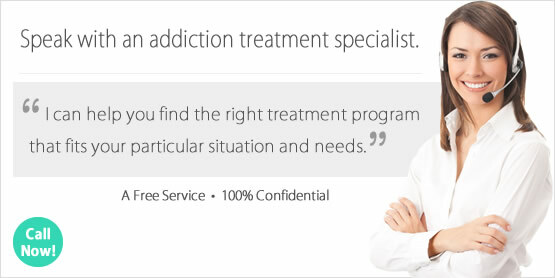 Looking for a Drug Rehab or Alcohol Treatment Center in Alabama? Getting into treatment in Alabama for a substance abuse problem can be a lifesaving opportunity, not just a luxury for residents struggling with a substance abuse issue. The longer a substance abuse problem continues, the more consequences, which can affect an individual for the rest of their lives even if they do stop their substance abuse at some point. But with the right treatment, individuals don't have to have their lives revolve around their substance abuse and their mistakes. Not every treatment program is right for everyone, and you and loved ones probably have more questions than answers. A treatment counselor in Alabama can help determine which drug rehab program is right for you, based on your substance abuse history and any other circumstances that might need to be taken into consideration. So take the first step and speak with a treatment counselor today to get the rehab process started. In 2014, there were an estimated 9,540 people in Alabama receiving substance abuse treatment in some type of drug rehab program in the state. Out of the individuals in drug rehab in 2014 in Alabama, about 20% were in treatment for alcohol use only, and 10.1% were in treatment for alcohol use and a secondary drug, and the rest were in treatment for drug use only. With these numbers in mind, alcohol is the number one drug problem in Alabama. Out of the drugs abused among treatment admissions to drug rehabs in Alabama in 2014, over 16% reported "other opiates" as their primary drug of abuse, accounting for the largest number of admissions when categorized by drug. Other opiates would be considered opiate drugs other than heroin, such as prescription pain killers for example. This is an ever-growing problem in Alabama and nationwide, and many clients look to opiate maintenance programs in the state to help them with their problem. Methadone and buprenorphine as medical drugs used in Alabama, which when administered daily lessen the client's desire to seek out heroin and other opiates because they in essence satiate opiate cravings and curb withdrawal symptoms. In a single-day count in 2013, 7,738 individuals in Alabama were receiving methadone and 967 were receiving buprenorphine. While the number of clients in methadone treatment has remained stable over the last several years in Alabama, the number of individuals who received buprenorphine increased dramatically from 217 in 2009 to 967 in 2013. Amphetamines also accounts for a large percentage of treatment admissions to drug rehab programs in Alabama, with over 12% of clients reporting abuse of some type of amphetamine drug which are basically stimulants. Methamphetamine and crystal meth or "ice" or example of amphetamines, which are extremely addictive and both physically and psychologically devastating to the user. The need for effective alcohol treatment in Alabama is highlighted by the fact that about 225,000 individuals aged 12 or older in the state are dependent on or have abused alcohol within the past year. In 2014, nearly 1,900 clients were in alcohol treatment in Alabama, and 966 were in treatment for both alcohol and another secondary drug. So as you can see, there is a huge discrepancy between how many people are in treatment versus how many people actually need it. In terms of who makes it to alcohol treatment in Alabama, only about 25% are female showing that there may be challenges that the women of Alabama face in regards to getting into alcohol treatment in the state when they need it. This could be because of a lack of resources to care for their children while they are in alcohol treatment. There may be resources at certain alcohol treatment centers in Alabama for female clients to take part in services without this worry, and female substance abusers should speak with a treatment counselor right away to find out. There are around 120 outpatient and 9 inpatient programs in Alabama, and only 3 of the 9 offer actual treatment with the other 6 providing inpatient detoxification services. In terms of the outpatient treatment available in Alabama, there is a choice between either regular or intensive treatment or day treatment and partial hospitalization. There are also 20 facilities offering outpatient detoxification 20 programs providing opiate maintenance services. This means that these facilities provide clients with either methadone or buprenorphine to curb opiate withdrawal, for those who have become dependent to heroin or prescription pain killers. The difference between regular and intensive outpatient treatment services in Alabama is one day per week on counseling and therapy services in regular programs, and intensive outpatient is usually 3 days per week for the entire day. Day treatment/partial hospitalization drug rehab in Alabama is available in 13 facilities, which may include more intensive and specific treatment for addicted individuals who also need to address a co-occurring mental health disorder or other underlying condition. What does Inpatient Rehab in Alabama Involve? In inpatient treatment in Alabama, clients will be in treatment in either a 30-day short term program or a long term program which can last anywhere from 60-120 days. Inpatient treatment is usually structured around a daily schedule with activities for the client to take part in based on their treatment plan. Inpatient treatment in Alabama can include substance abuse counseling and relapse prevention, which nearly all of the programs in Alabama offer. Cognitive behavioral therapy, motivational interviewing, anger management, trauma-related counseling, and other steps depending on how in-depth and comprehensive the program is. One of the most recent services offered at inpatient drug rehab programs is dual diagnosis treatment, for individuals who may also need to address a co-occurring mental health disorder while in treatment. What does Outpatient Rehab in Alabama Involve? Outpatient treatment in Alabama typically involves a commitment from the client of at least one day per week for a regular program and several days a week for more intensive outpatient programs in the state. Most of the outpatient treatment programs in Alabama provide individual, family, and marital/couples counseling. In addition, 52 treatment facilities in Alabama offer a comprehensive mental health assessment or diagnosis and 82 facilities provide mental health services in addition to the addiction treatment their offer.